We love helping business owners grow and achieve high levels of success they never thought is possible. However the word is out after we have assisted clients to achieve incredible results, so we simply can’t help everyone. We select clients that we work with very carefully. We have a fair and reasonable set of criteria that you must meet before we’ll welcome you on-board as a client. This is because we limit the number of clients that we work with at any time to ensure that you get the maximum attention to detail. Our Criteria For Working With Clients Is Fair But Strict. You need to have clients & customers calling you, and spending money with you. We do not help start-ups or new businesses get off the ground – we help established businesses take over their market. 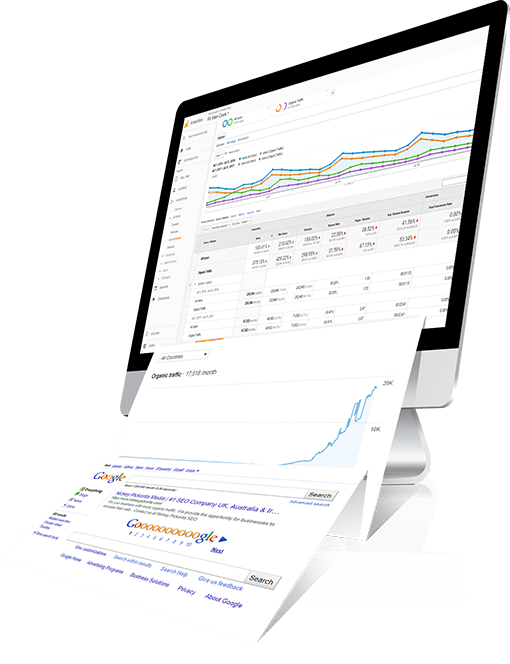 Our SEO isn’t cheap, but it delivers the best ROI on the market. Why? Because we win. This is why it’s important you understand ROI. Getting you to dominate your market is expensive and we need to invest in a lot of resources to get you great results. Ask yourself – do you really think that a company selling SEO for $395/mo can invest enough into your success, or knows enough about business to actually get you to the top? SEO takes time. Google has built-in Anti-Spam mechanisms to prevent people from gaming the system quickly. This is why all our campaigns are built around a 9 to 12 month workflow. When you build a house, if you stop work half way through you won’t get the end result, nor can you judge the quality of the house when it’s half way through. Your SEO is exactly the same. We need to finish our work for you to get the best results. Although we do not have any locked in contracts, we will not take on any client who isn’t willing to trust us to complete our work over the full 9 to 12 months before judging results. Will leads come through sooner, and will you see steady growth through the campaign? This will depend on your specific situation which I can answer when we speak. Some of our clients have seen improvements 1st month, some after 3rd month and newer websites in 6 to 12 months of SEO.